A panel of encryption experts, international privacy law experts, politicians, digital rights advocates, and journalists examined the social and technical consequences of the proposed new ‘backdooring’ powers. They argued these powers are unnecessary and should be highly concerning for Australians who, unlike other western democracies, do not have a constitutional right to privacy. The Australian Government’s intention to pursue new and increased powers to access encrypted communications via statutorily required ‘backdoors’ has been met with wide-ranging privacy and information security concerns. On 5 October 2017, a panel of encryption experts, international privacy law experts, academics, politicians, digital rights advocates, and journalists will unpack the social and technical consequences of the proposed new ‘backdooring’ powers. At present, it is unclear if Australia’s laws will require so-called ‘backdoor’ vulnerabilities to be built into messaging applications like Facebook Messenger and WhatsApp. However, if this were to occur, it would enable government access to these services via decryption keys and/or enable remote access to devices for interception of communications “at the ends”. Experts argue that these powers are unnecessary and should be highly concerning for Australians who, unlike other western democracies, do not have a constitutional right to privacy. 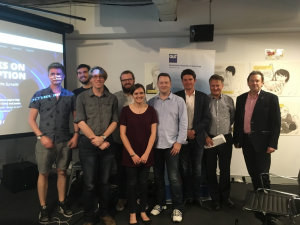 This Attacks on Encryption event is relevant to anyone concerned about security and responsible governance and will cover the consequences of engineering ‘backdoors’ into commercially available encryption software, the issues associated with companies being compelled to decrypt user data, and forcing the design of communications tools that allow government interception. 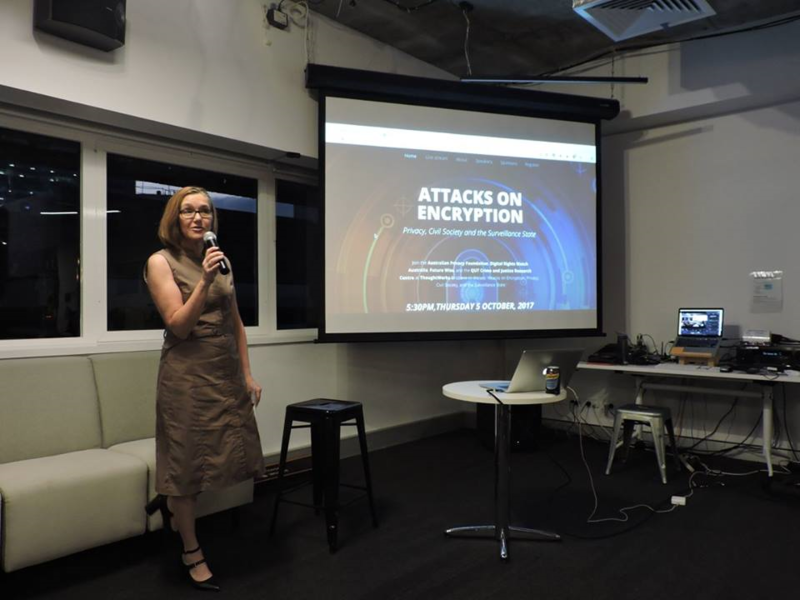 The event will be hosted at ThoughtWorks Brisbane with catering and refreshments provided, but we will also be live streaming and providing remote links via the cyber. Note: The event is currently sold out with a waitlist but in the event that CJRC members register then tickets will be released to them as priority attendees. For further information contact Dr Monique Mann as event organiser.